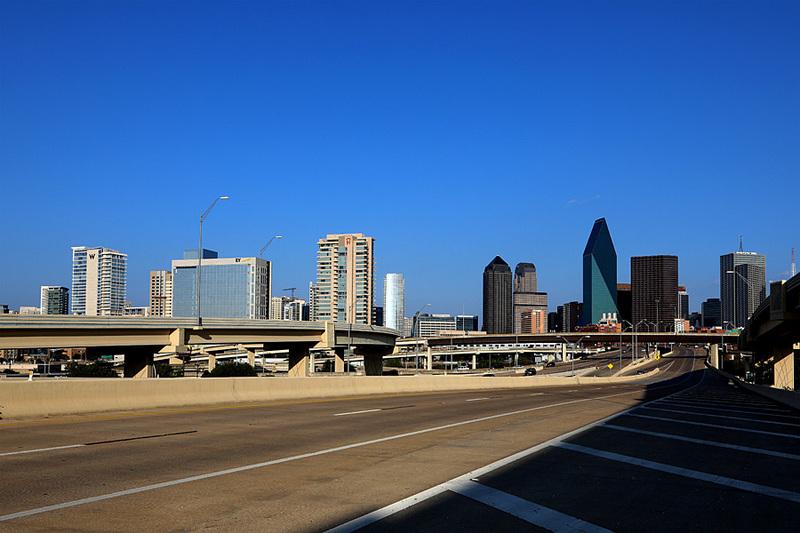 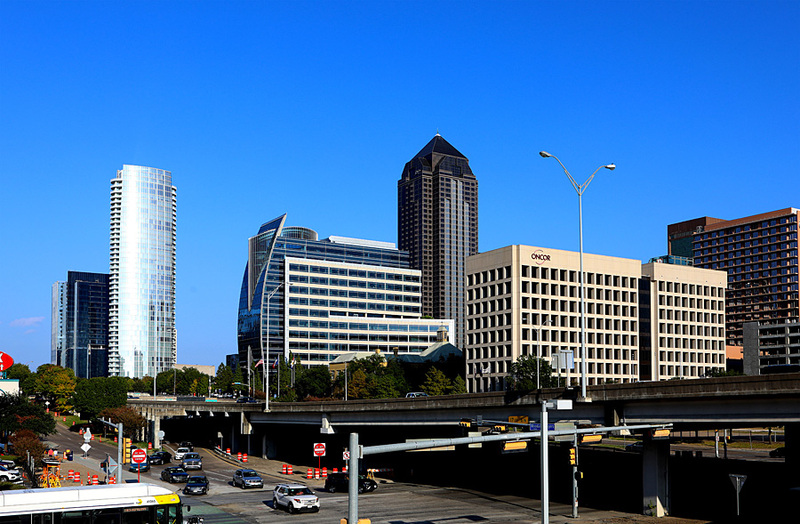 During a trip to Houston, Texas I decided to drive to Dallas to do some shooting around the city. 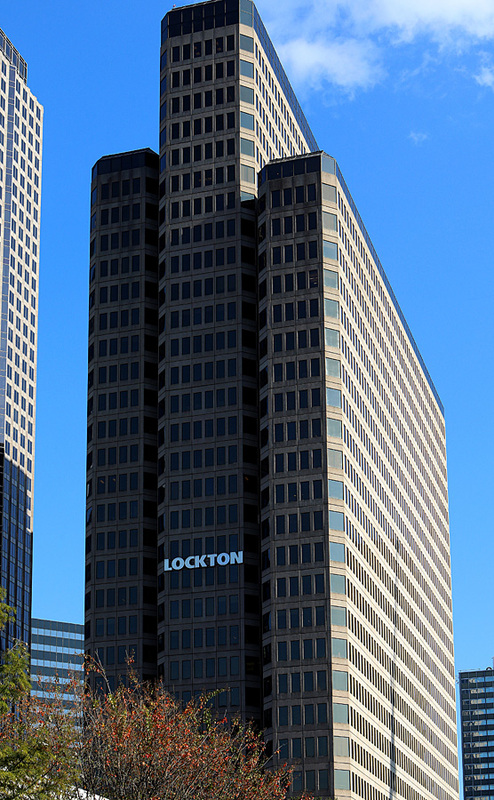 It’s my first time there, and I’m pretty excited! 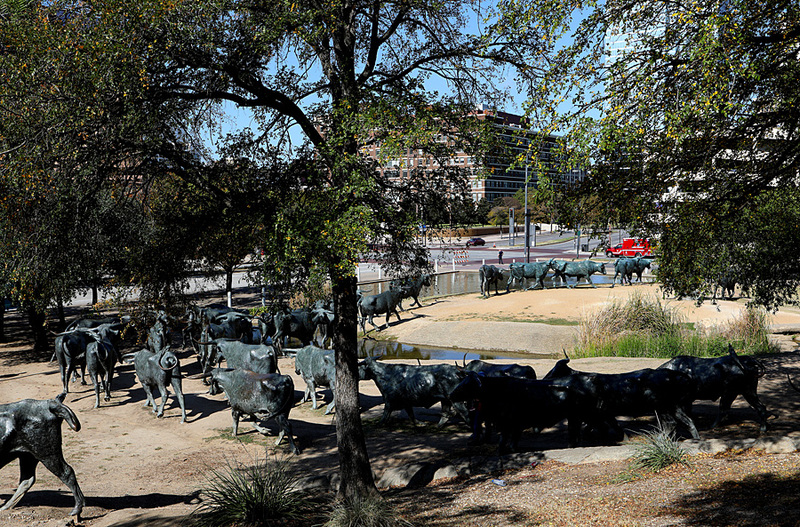 Once there, and finding a parking spot in front of the Aloft Dallas Downtown Hotel, I went across the street to photograph what brought me to Dallas in the first place…Robert Summers' 49 bronze steers and 3 trail riders “Dallas Cattle Drive” sculptures in Pioneer Plaza. 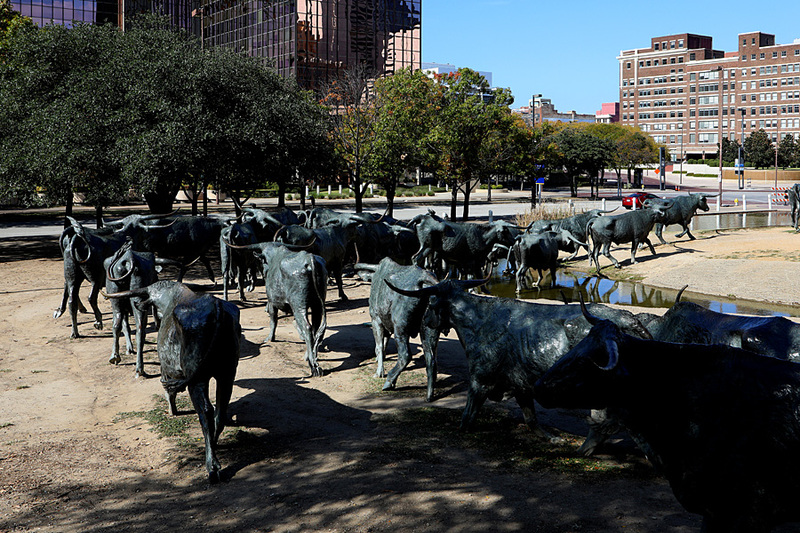 This is also a very popular tourist attraction in Dallas, and I can see why. 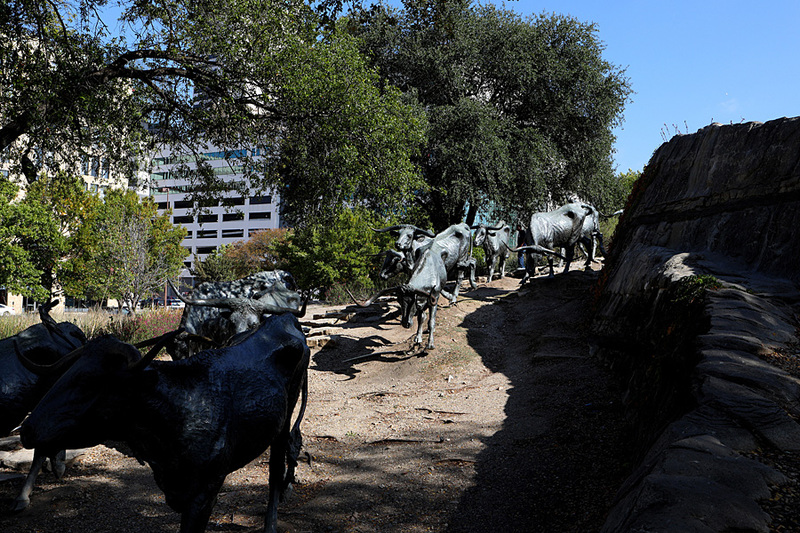 The large sculpture commemorates the 19th century cattle drives that took place along the Shawnee Trail. 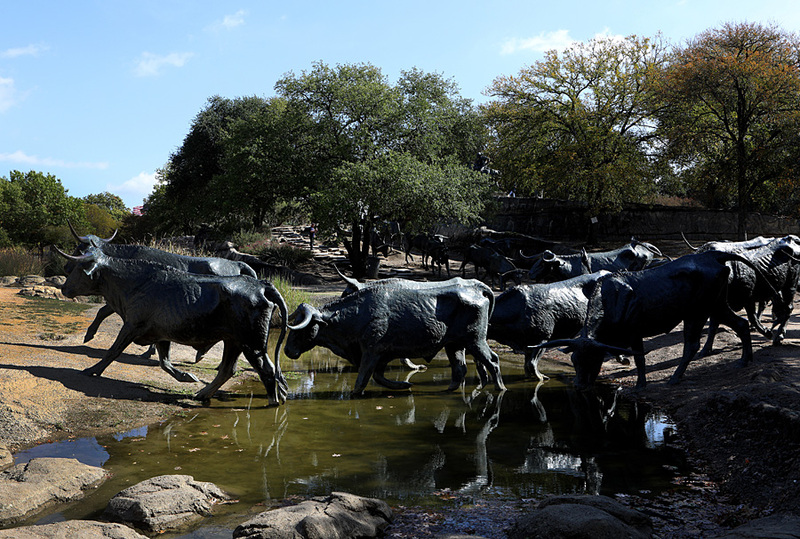 All together, the sculpture is the largest bronze monument of its kind in the world. 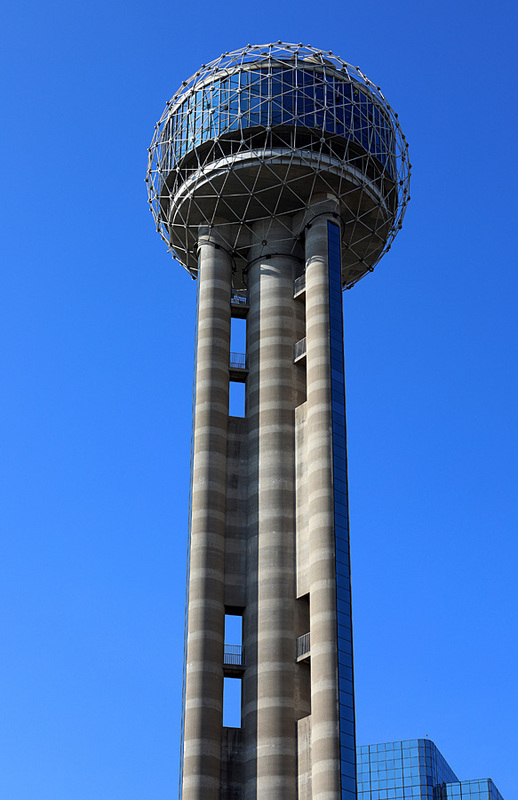 If you’re ever in Dallas, this is a must see! 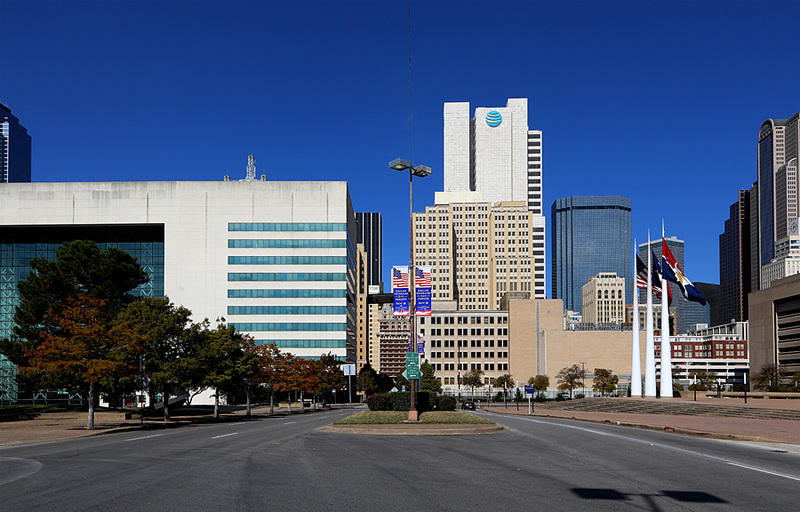 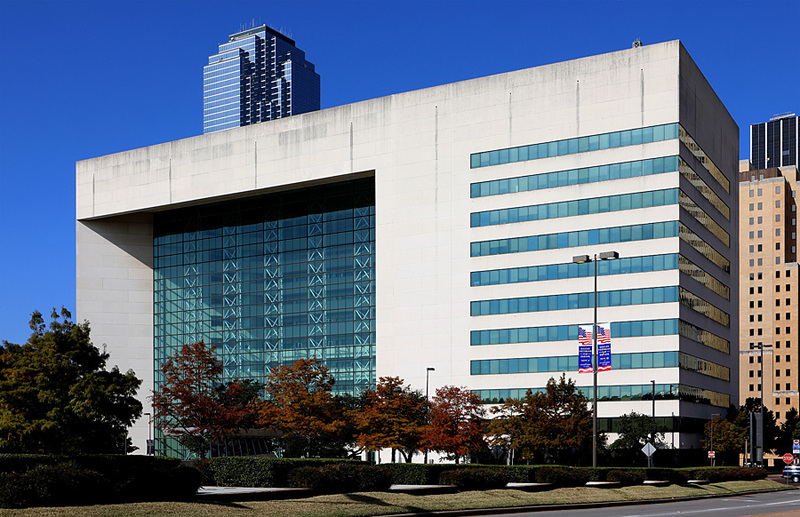 After spending too much time at the sculptures, I walked across the street to the Dallas Convention Center and City Hall. 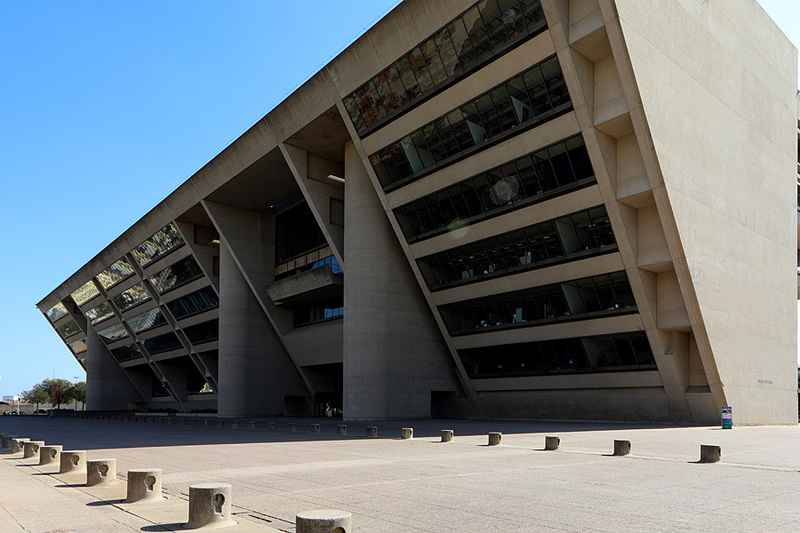 I was looking forward to seeing City Hall, because I’ve constantly read that this building is the ugliest architecture ever. 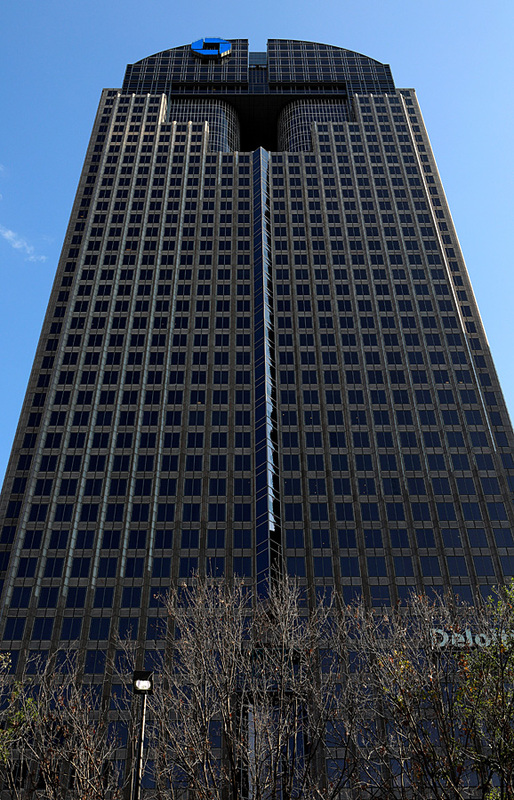 In my opinion, it’s definitely a weird shaped looking building. 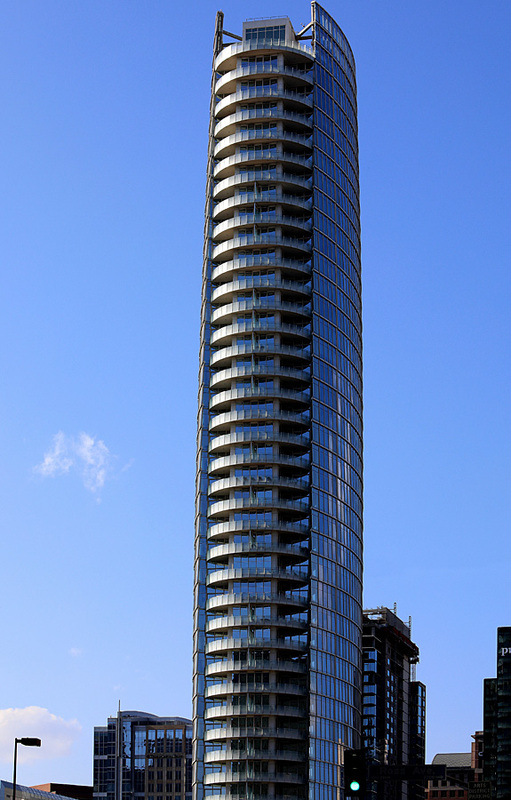 But surprisingly, I like it! 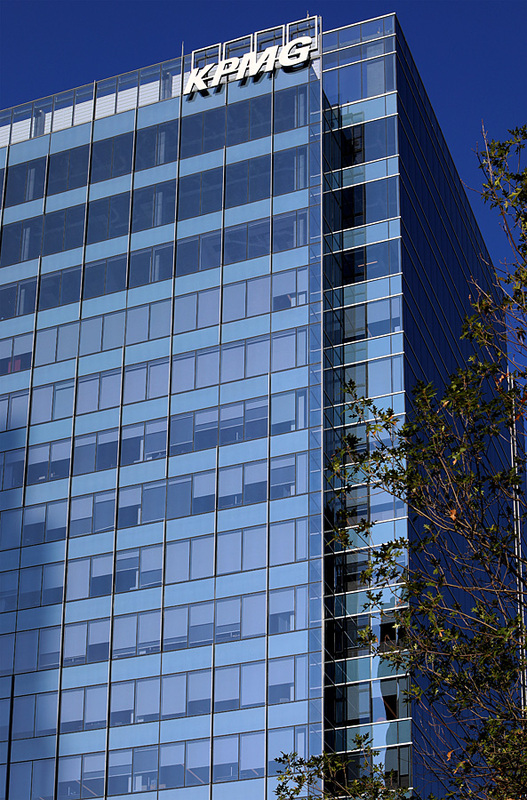 I love the way the windows protrude outward, giving the illusion that workers are leaning forward as they work. 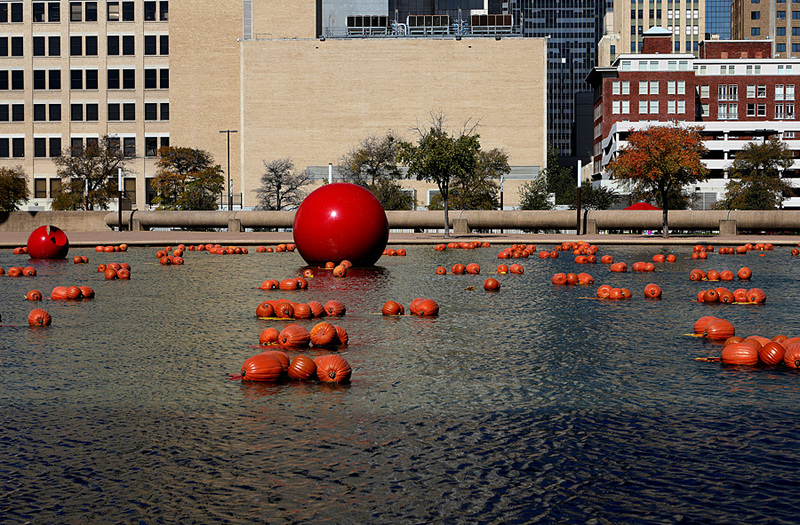 In front of City Hall is the reflecting pool in Akard Plaza, as well as Henry Moore’s “The Dallas Piece” sculptures. 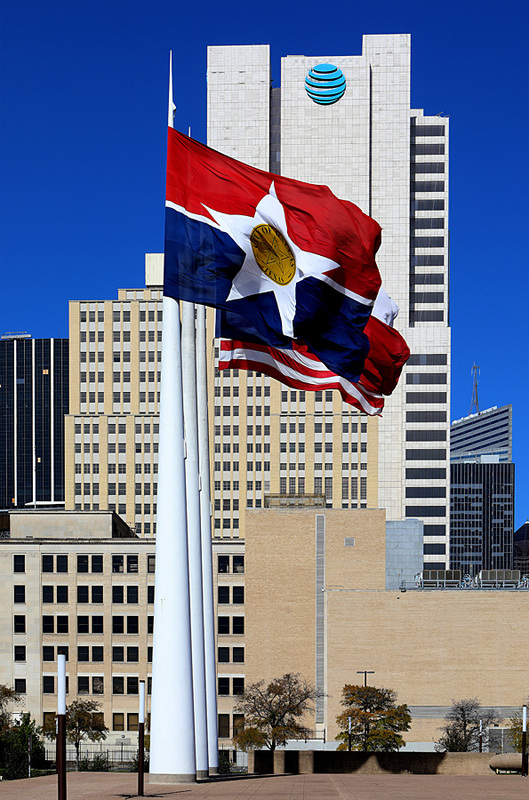 In the corner of the plaza the Dallas City flag, Texas State flag and United States flag flies in the wind. 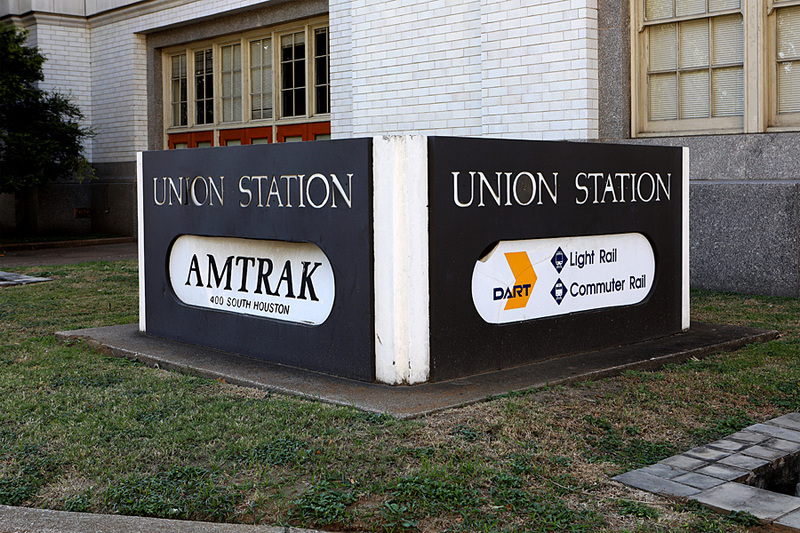 My next stop is a very important one. 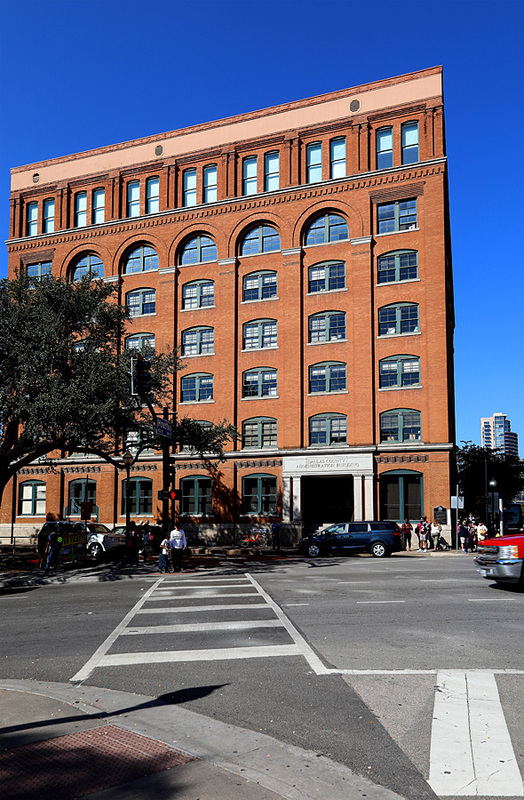 I wanted to visit the site where then President John F. Kennedy was assassinated on November 22, 1963. 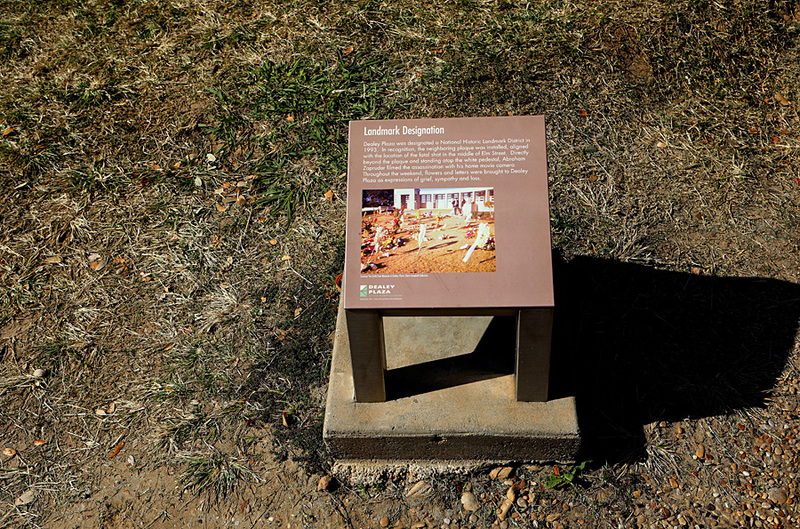 It sounds kind of morbid, but it’s also a part of history, which is what I love photographing. 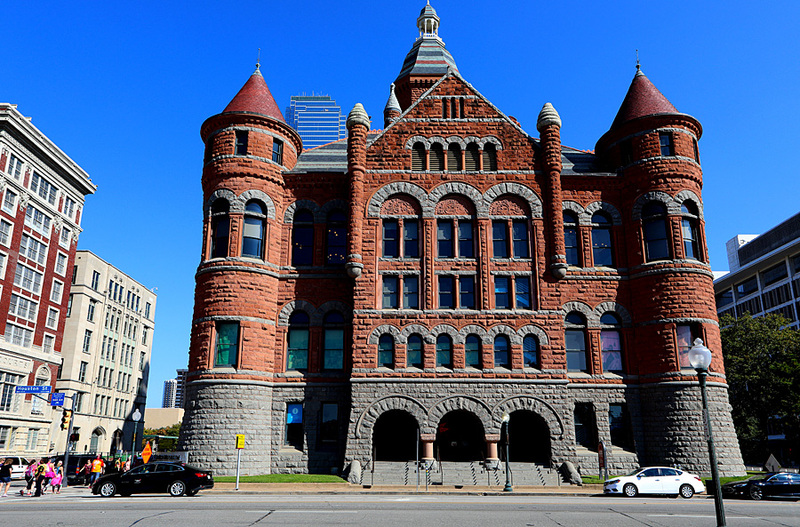 I arrived near Dealey Plaza where I parked across the street from the old Dallas County Criminal Courts building. 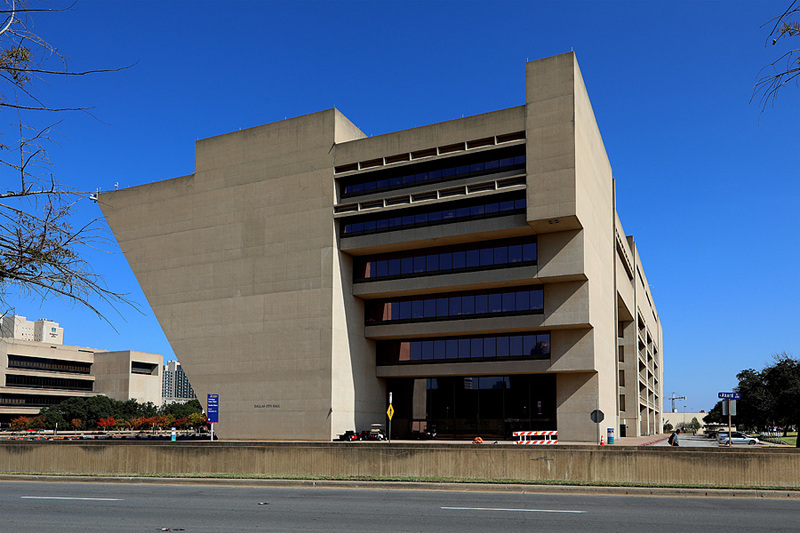 I later found out that this is the court building where Jack Ruby was jailed, tried and convicted for killing Lee Harvey Oswald, the man who allegedly assassinated President Kennedy. 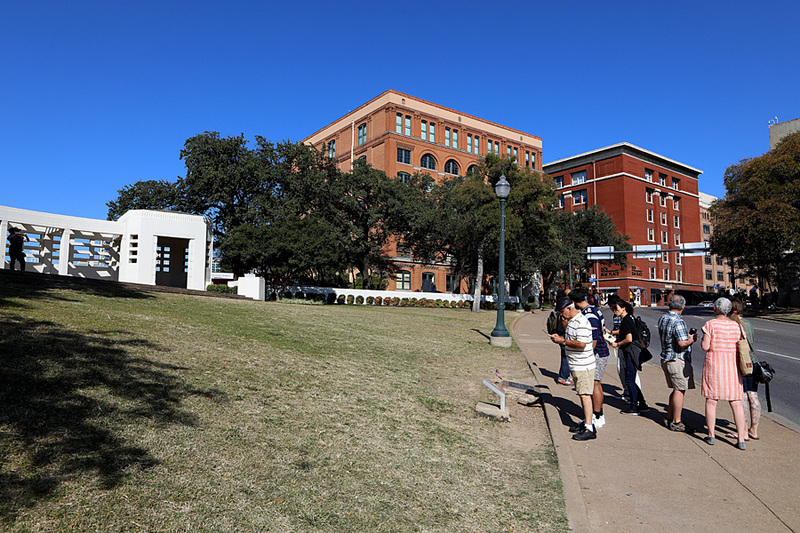 Once at Dealey Plaza, there were lots of people already milling about and taking pictures. 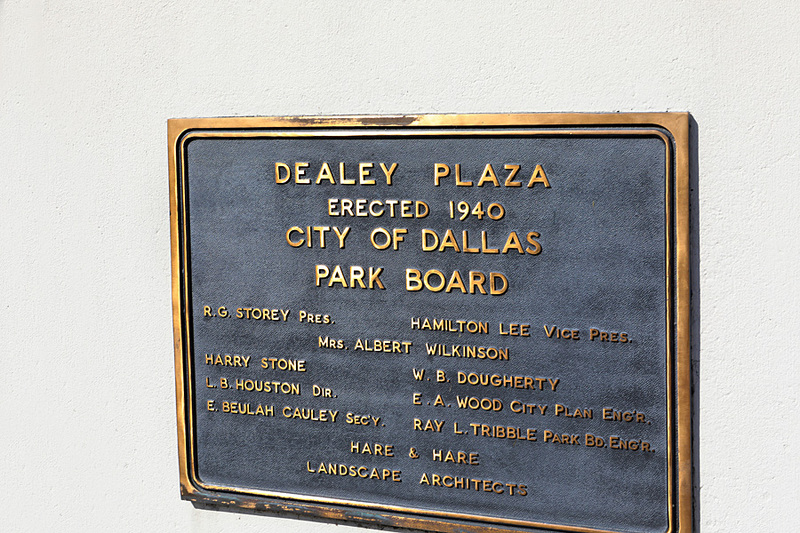 There’s a statue of George Dealey in the plaza, which people stopped to admire and read the inscription on its base. 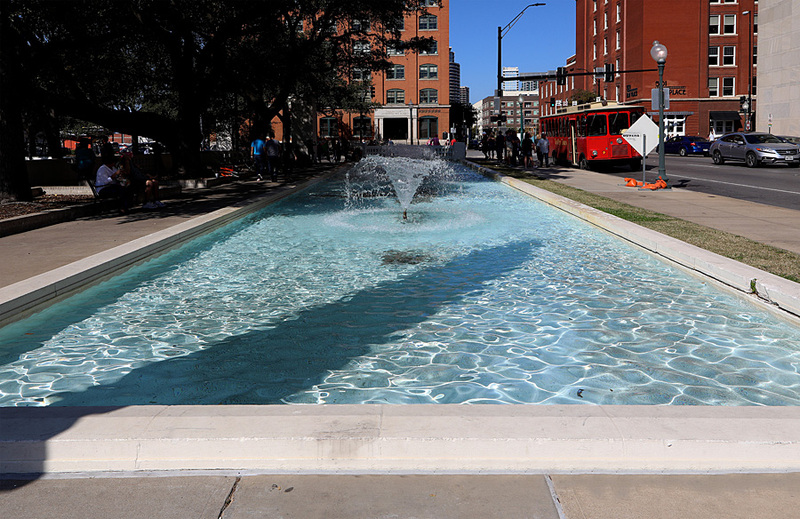 Walking past the reflecting pool, I make my way over to Elm Street, which is where the former Texas School Book Depository building stands. 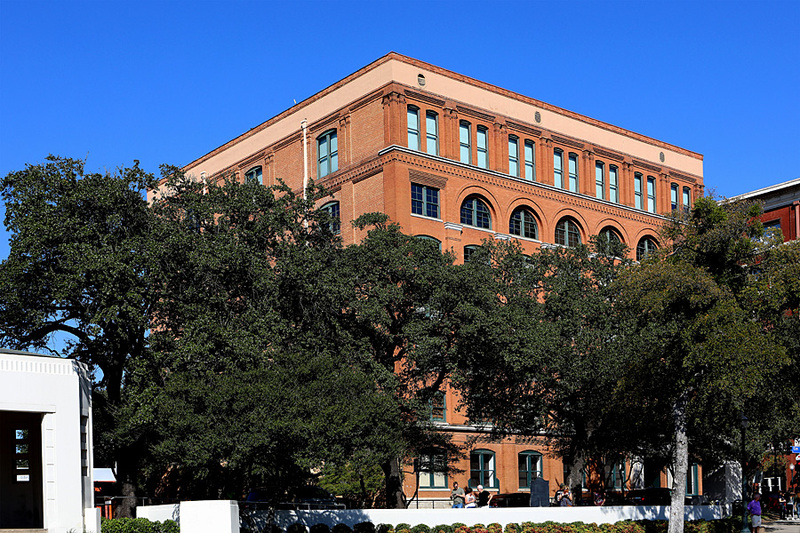 On the sixth floor of this building is where Lee Harvey Oswald allegedly fired shots upon John F. Kennedy’s motorcade killing him instantly. 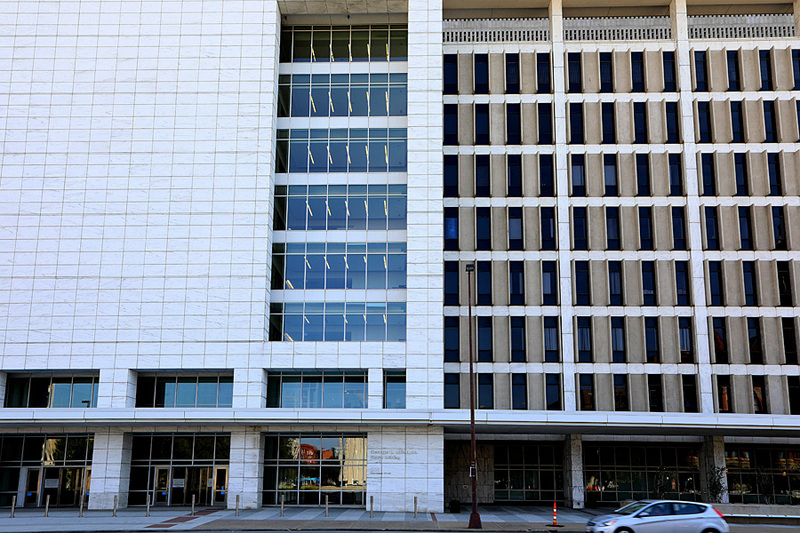 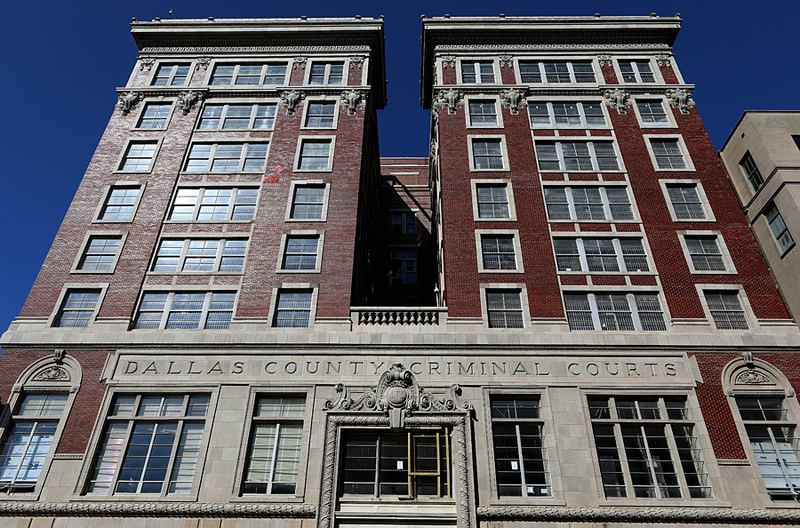 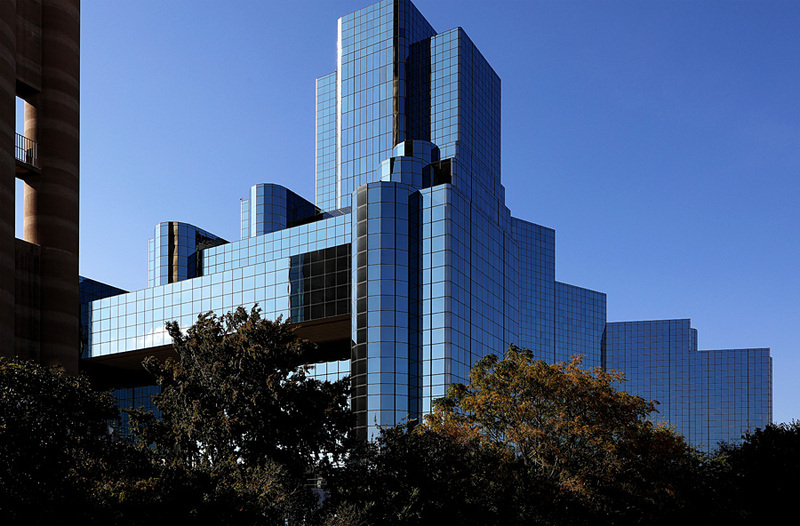 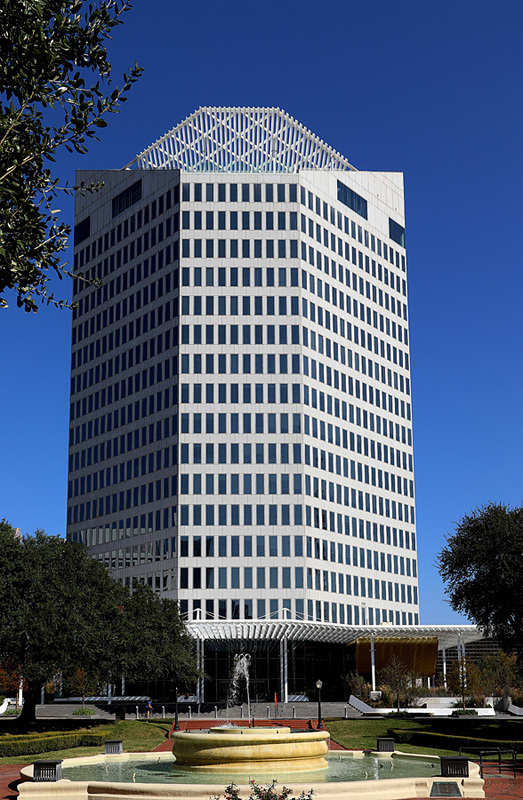 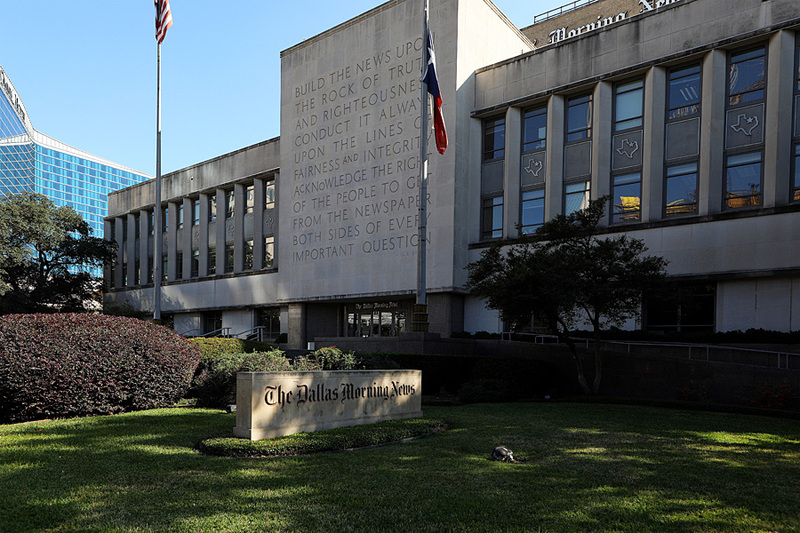 The building is now the Dallas County Administration Building. 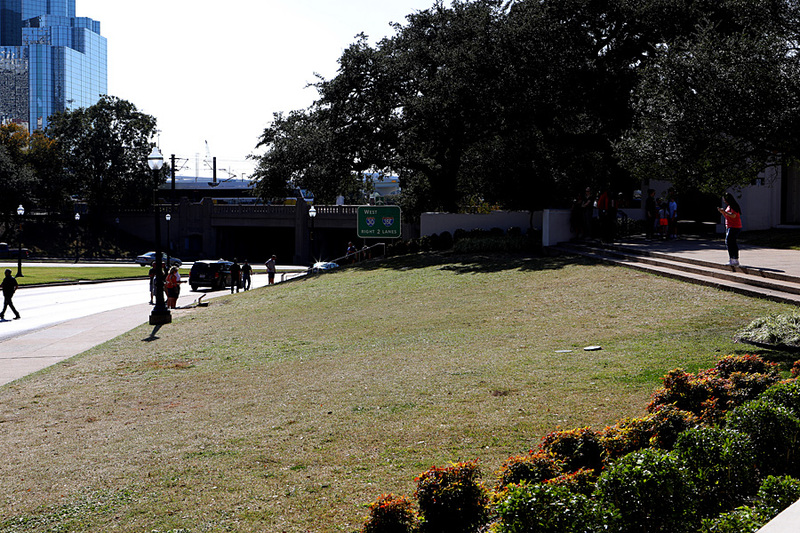 From there, I walked along the “grassy knoll” area, which as a kid I always heard that this was the spot where a gunman fired upon the Kennedy motorcade. 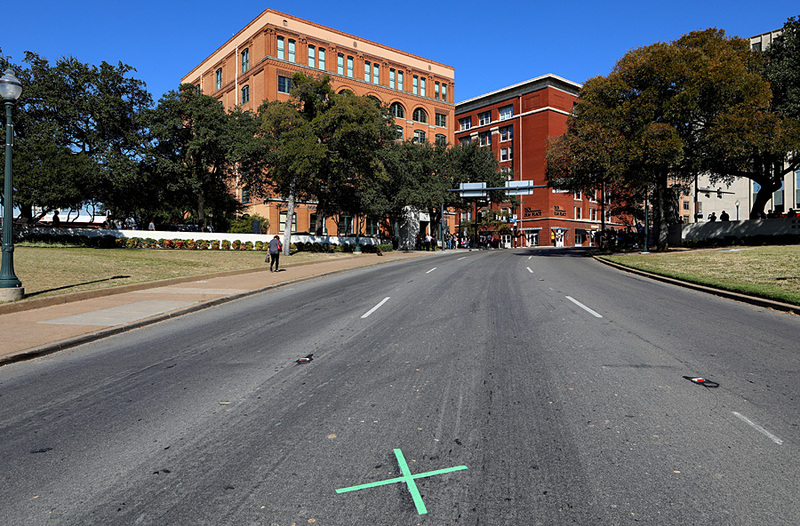 There is also a green “X” in the street in front of a monument marker where President Kennedy’s car was when he was assassinated. 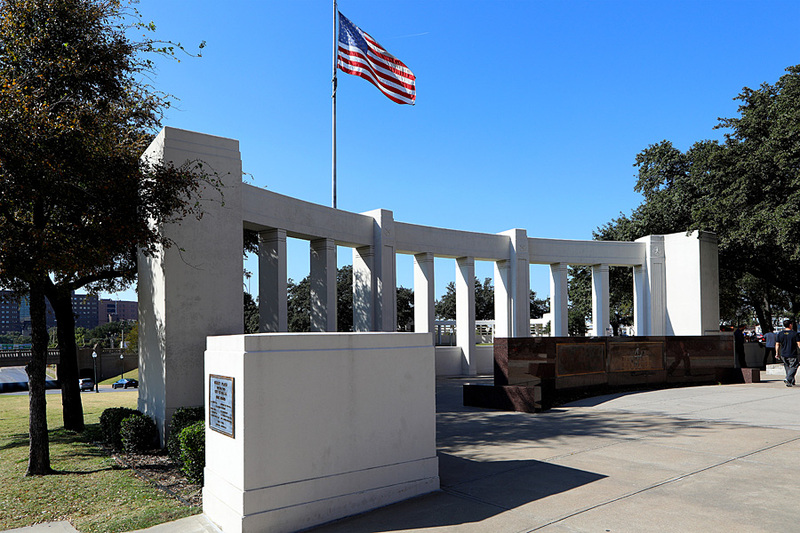 (Once I returned home, I googled the assassination footage and looked at it. 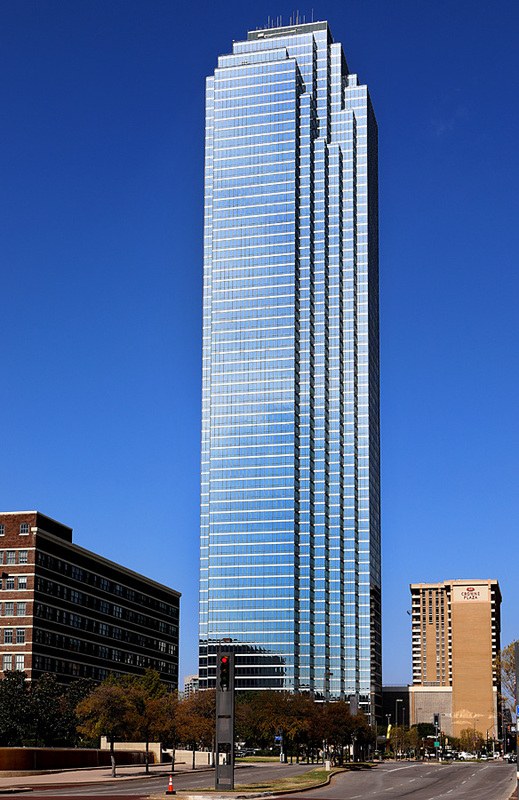 This is the first time I saw the footage since I was a kid. 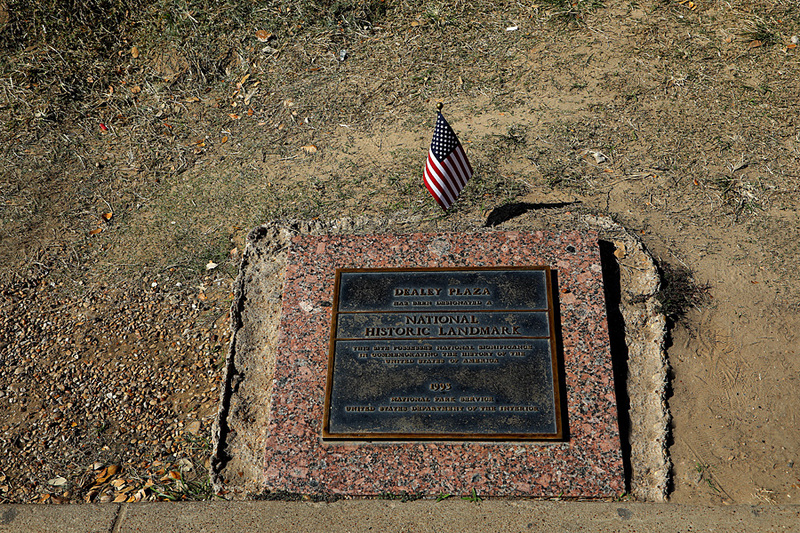 And after viewing the footage and having visited the actual spot, I have my own theories of where the bullets were fired from). 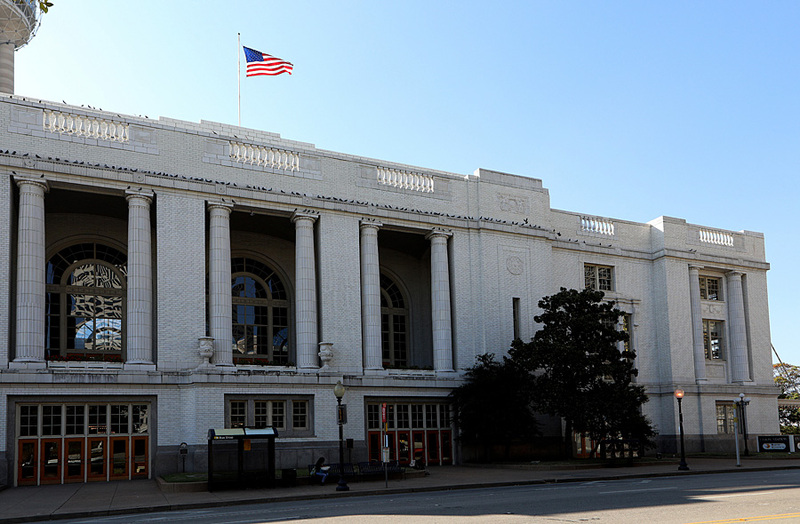 Next, I walked along Houston Street where I photographed the Old Red Museum, Union Station and the George L. Allen, Sr. Courts building. 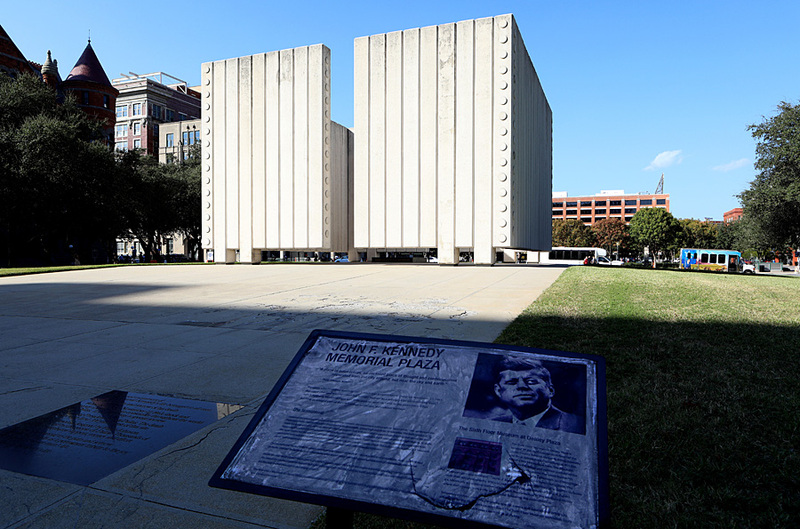 From there, I walked a couple blocks over to Main Street to photograph the John F. Kennedy Monument by architect Philip Johnson. 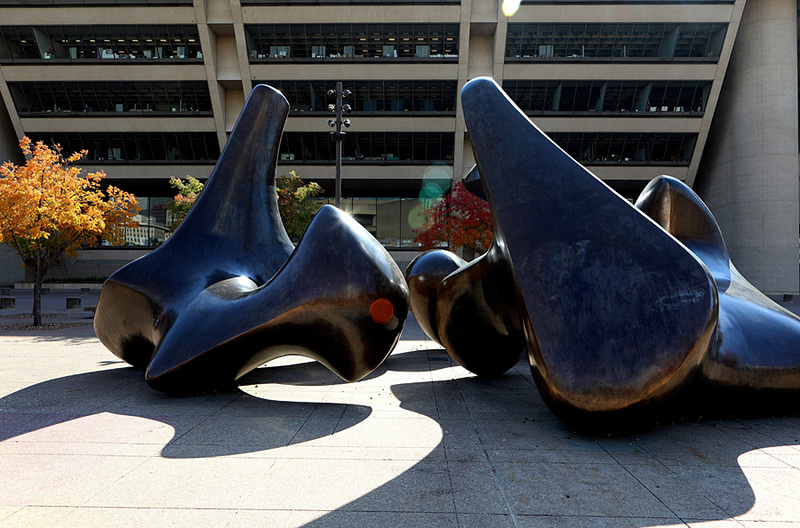 Johnson called the Monument "a place of quiet refuge…an enclosed place of thought and contemplation separated from the city around, but near the sky and earth”. 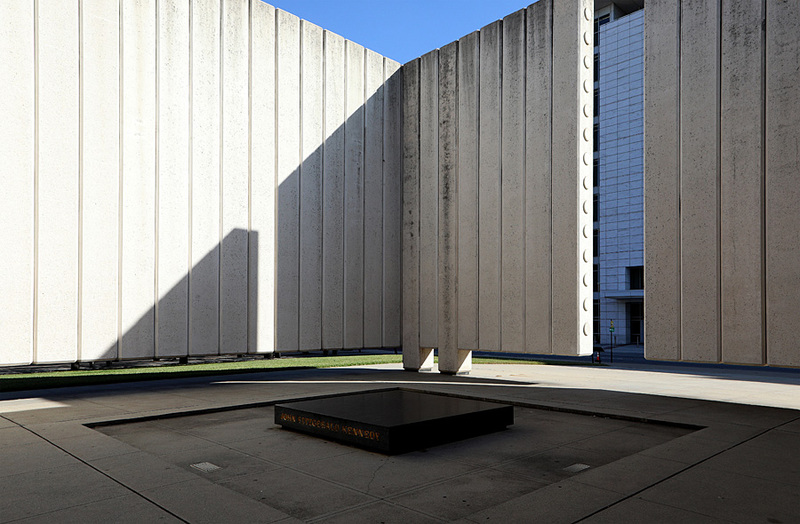 The design is a "cenotaph or empty tomb that symbolizes the freedom of Kennedy’s spirit”. 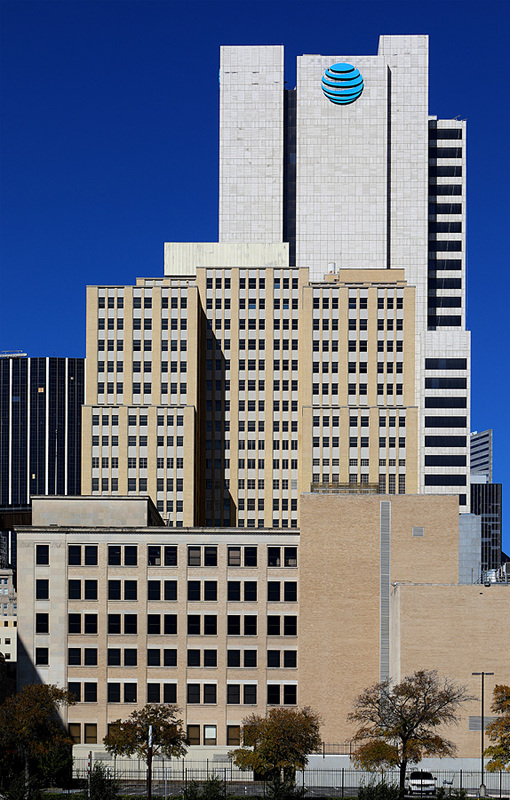 Back on Houston Street, I walk over to Ferris Plaza where I photograph the remodeled 400 Record Street Tower, Bank Of America Plaza and the Dallas Morning News building. 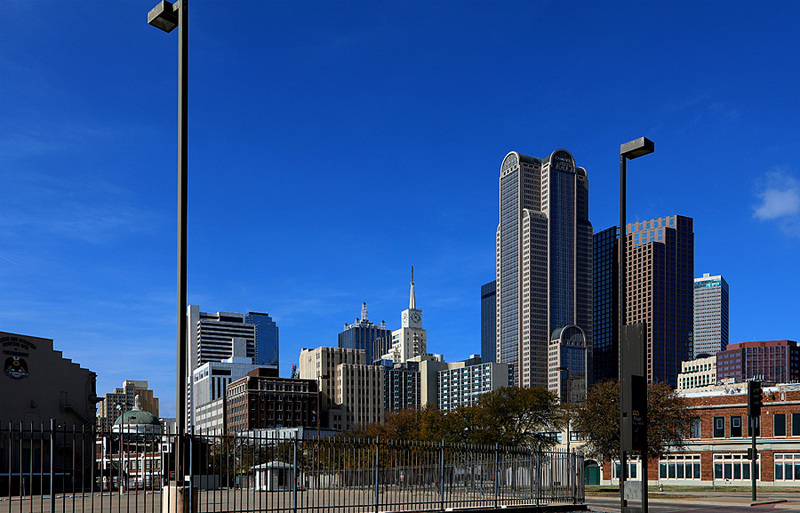 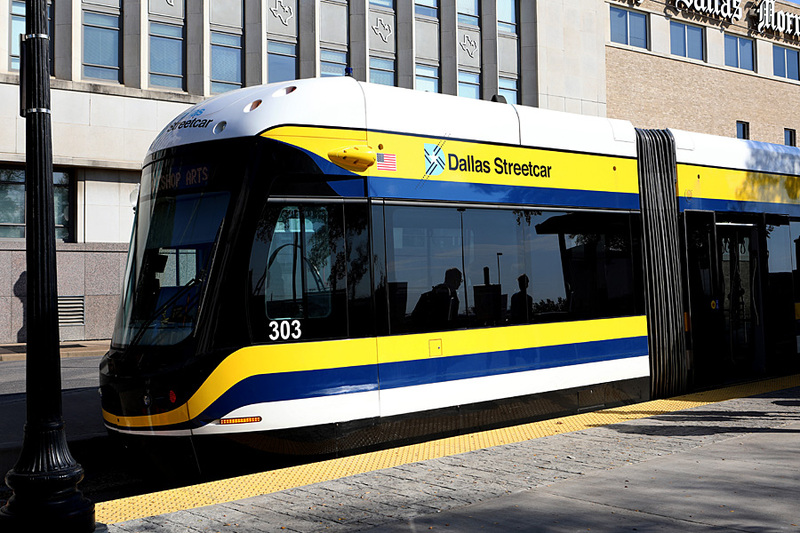 Across the way is Reunion Tower and the Hyatt Regency Reunion Hotel as well as a Dallas Streetcar standing by. 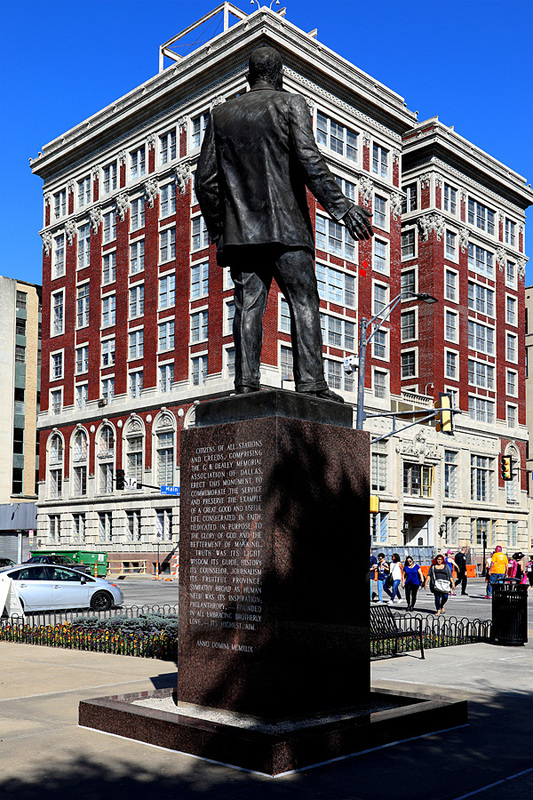 Back to my car, I drive further into downtown and parked in front of a building called Plaza of the Americas, where Márton Váró's “Hither” statue stands. 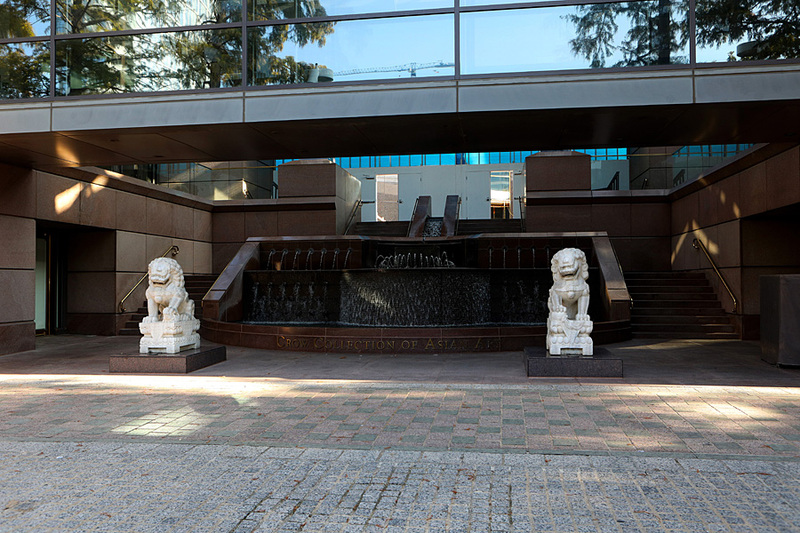 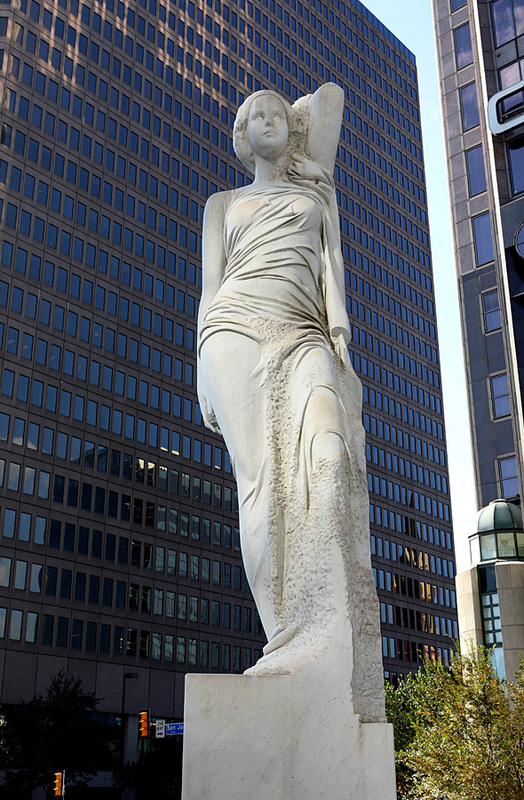 Down the street is another Plaza of the Americas building where the sister statue “Thither” stands out front. 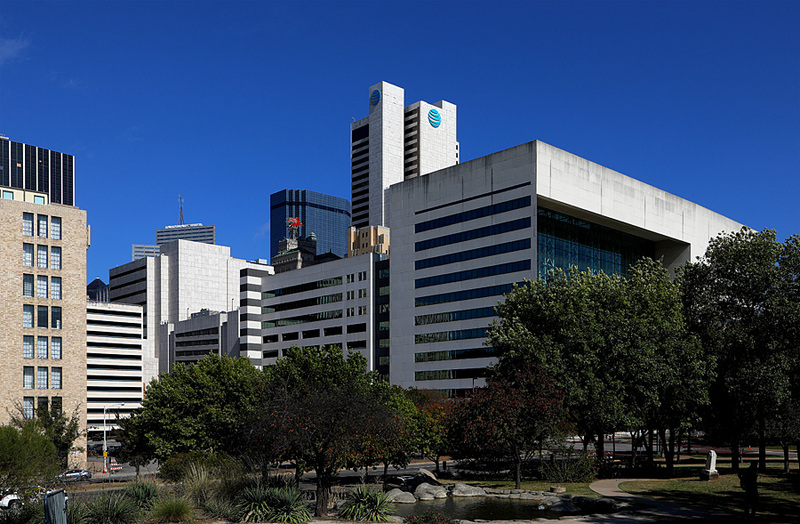 Also in that area I photographed Chase Tower, KPMG Plaza, Museum Tower Condominiums building, Meyerson Symphony Center and the 2100 Ross Avenue office tower (Lockton). 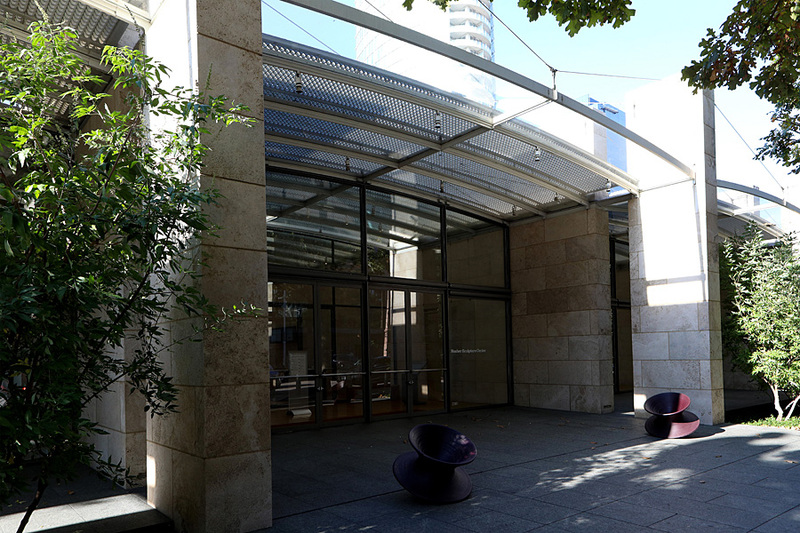 A few more blocks of walking found me at the Dallas Museum of Art, the Nasher Sculpture Center and Crow Collection of Asian Art. 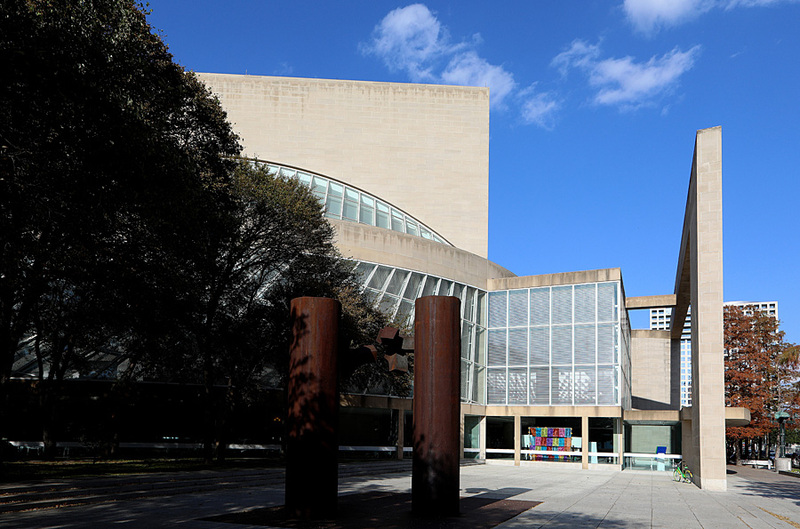 All three of these museums showcase some of the most prized art pieces and sculptures in the world. 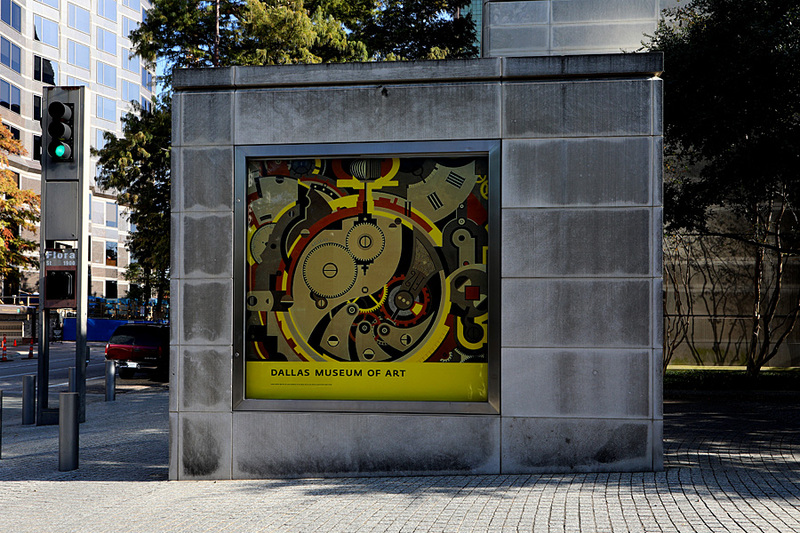 Another must see on your next visit to Dallas. 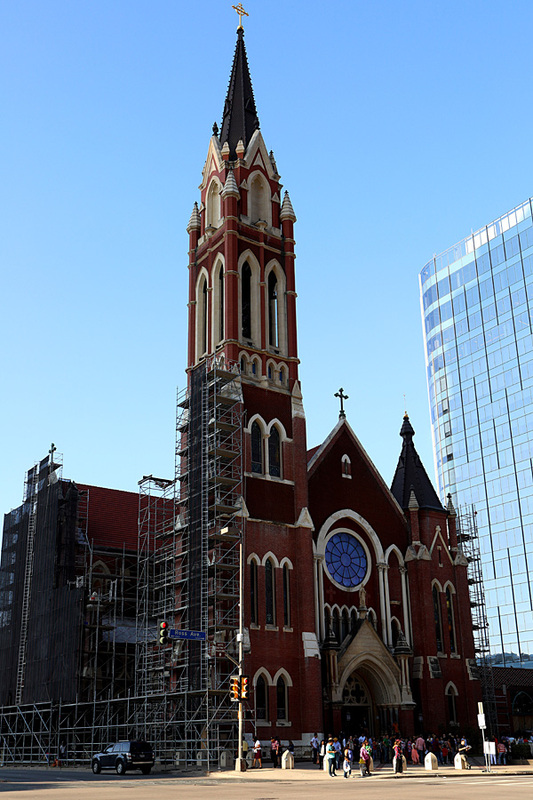 On the way back to my car, I walked past the landmark Cathedral Santuario de la Virgen de Guadalupe, which was undergoing major construction. 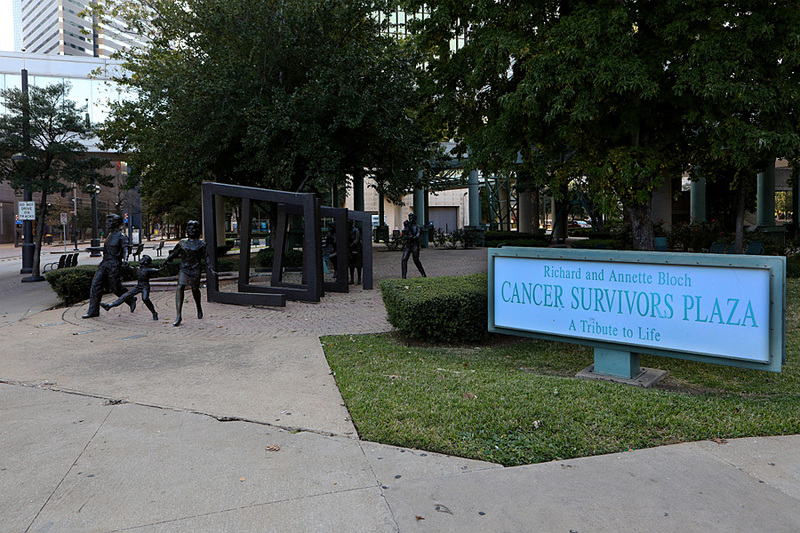 I also checked out Victor Salmones' “Cancer...There's Hope” sculpture inside the Richard and Annette Bloch Cancer Survivors Plaza. 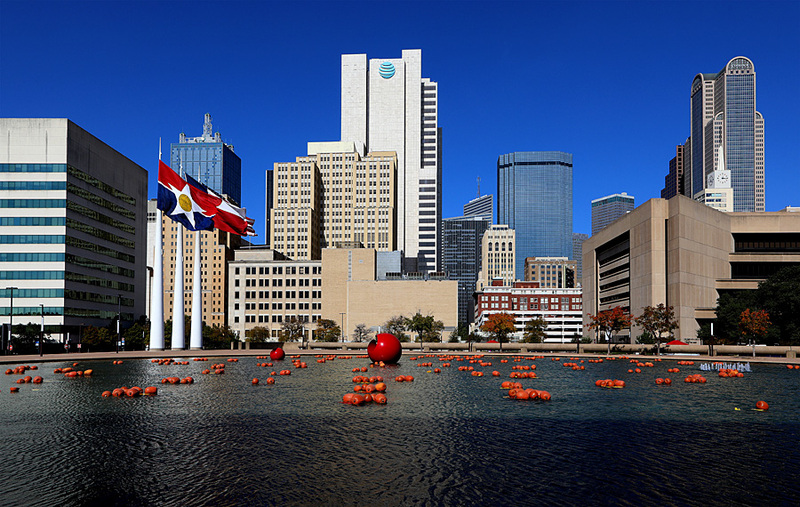 As my time in Dallas is winding down, I can’t leave this city without visiting Thanks-Giving Square which is a private park and public facility anchoring the Thanksgiving Commercial Center district of downtown Dallas. 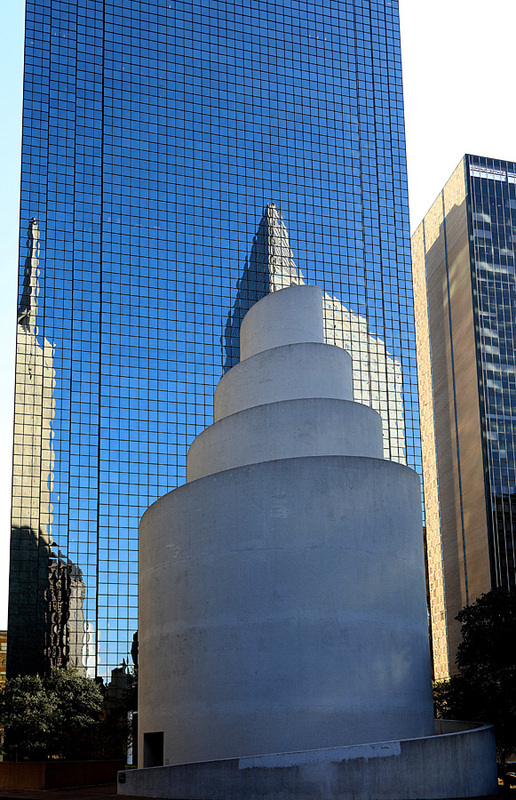 And a visit to Thanks-Giving Square isn’t complete without seeing the Chapel Of Thanksgiving designed by Philip Johnson. 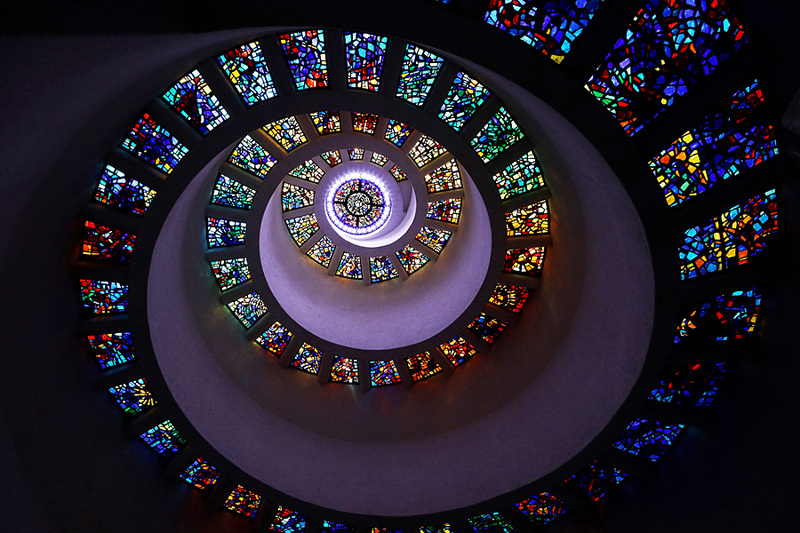 Johnson actually designed the whole park, but what makes the small, intimate Chapel so awesome is the chapel ceiling’s stained glass "Glory Window", one of largest horizontally mounted stained-glass pieces in the world. 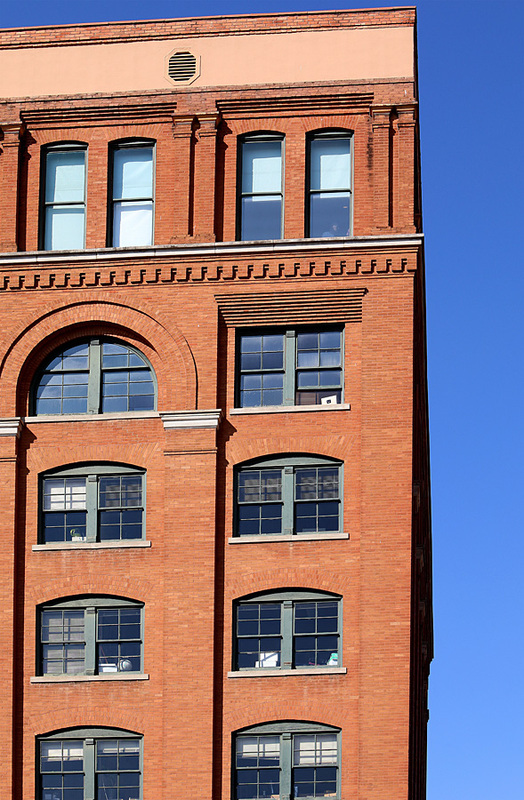 There was a couple rehearsing their wedding ceremony, but they graciously allowed me to photograph the ceiling. 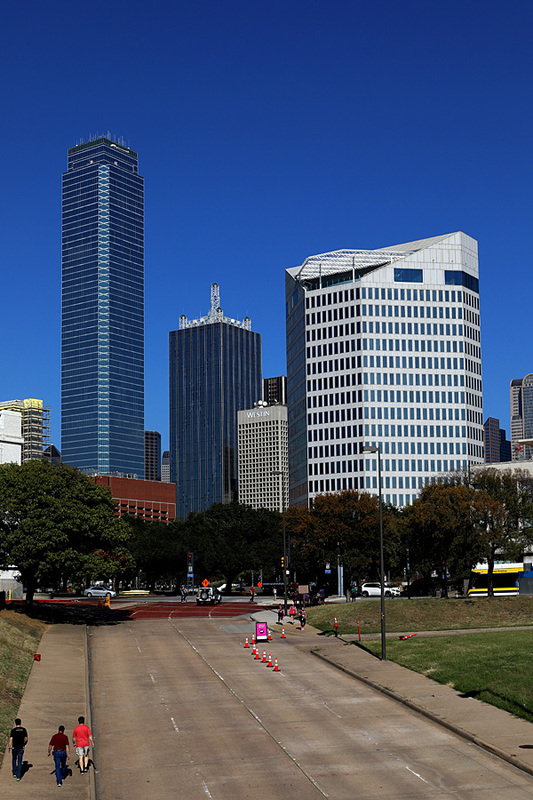 I left Thanks-Giving Square and headed over to the Perot Museum of Nature and Science. 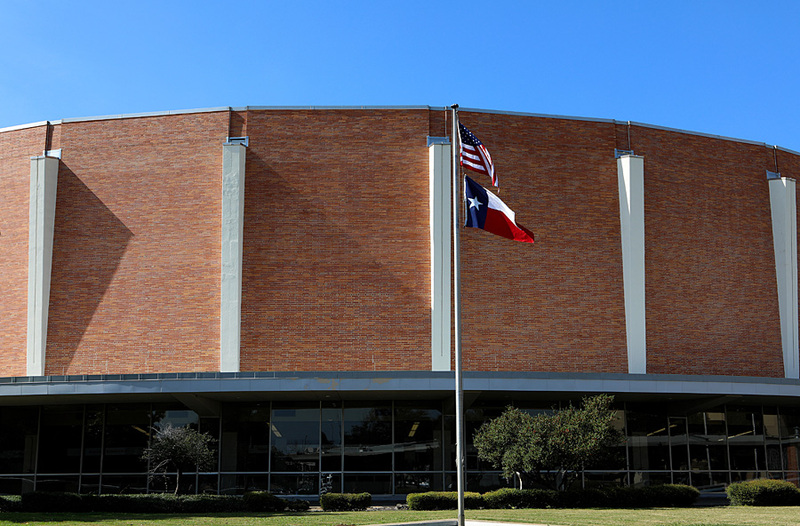 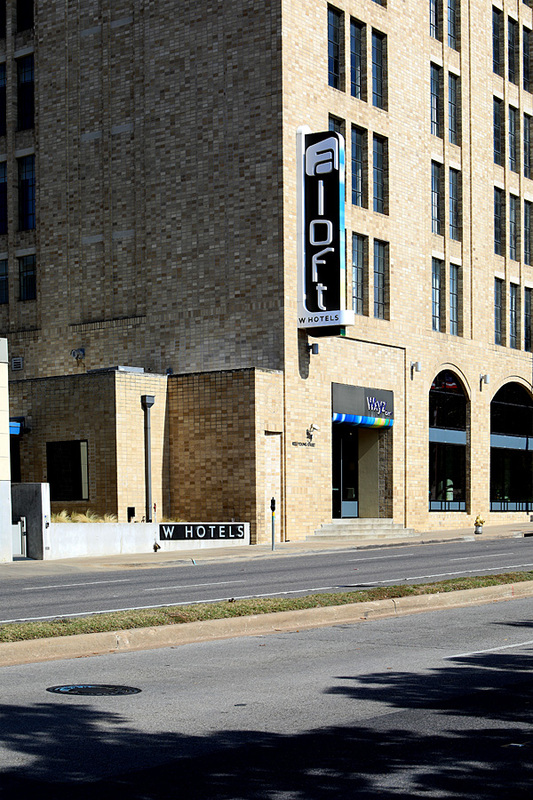 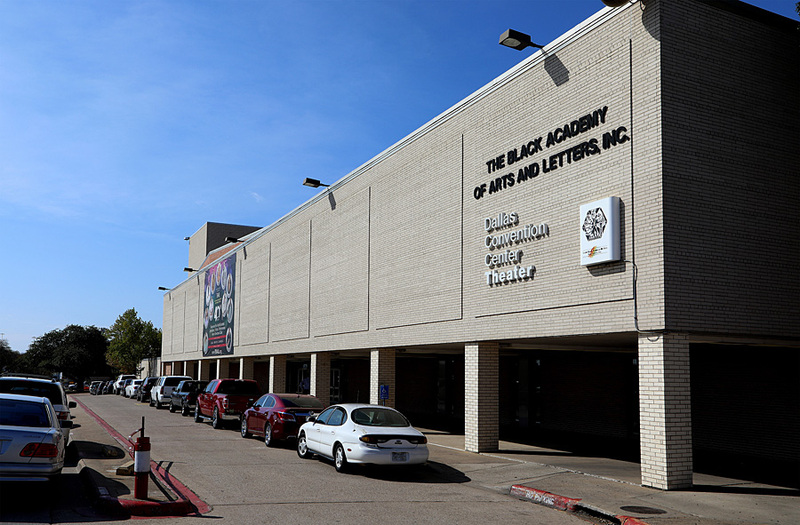 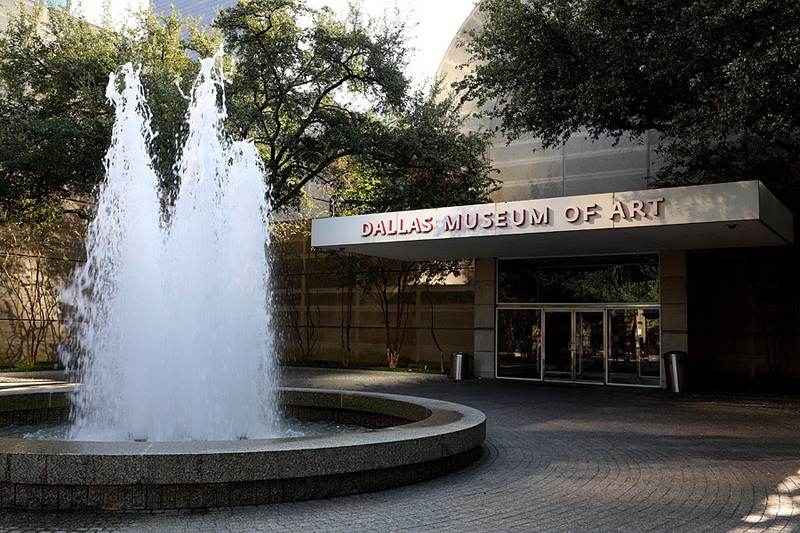 The museum is named after billionaire and former politician, Ross Perot. 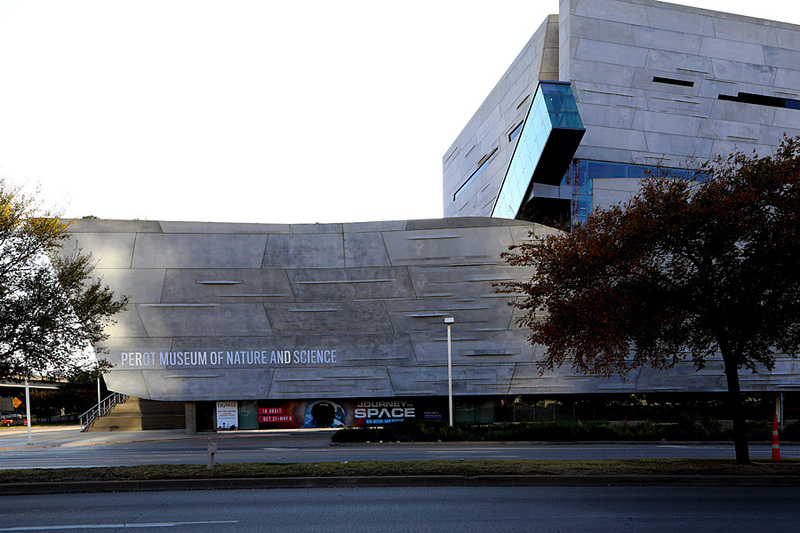 This too, is a great architectural structure designed by Thom Mayne. 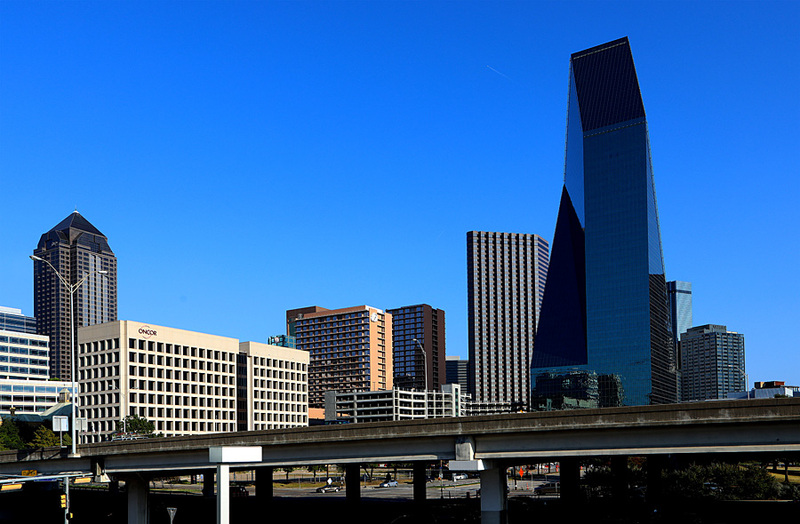 After spending time at the museum, I head out to get some last minute skyline photos of the city. 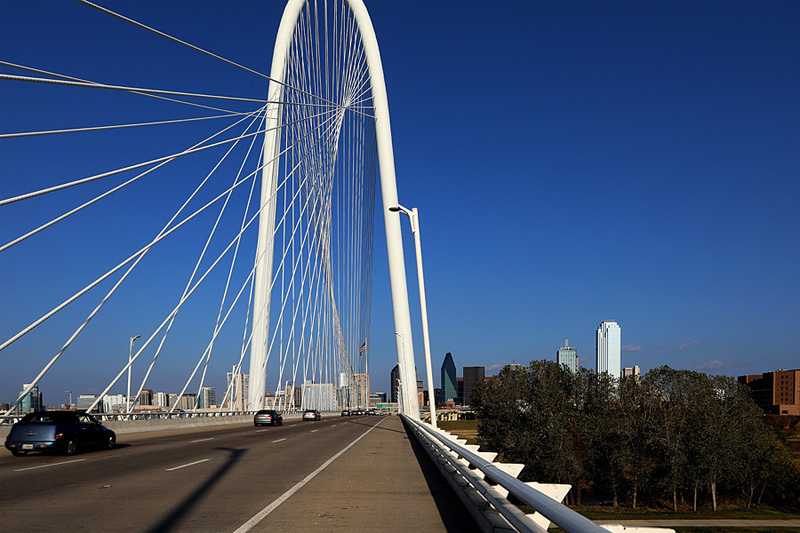 A short drive through the city led me to the Margaret Hunt Hill Bridge…a bridge whose design looked very familiar. 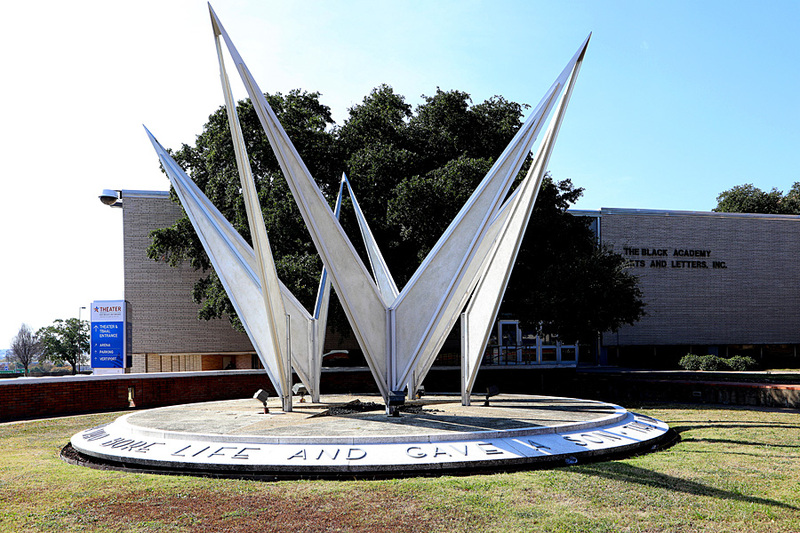 And that’s because it was designed by famed architect Santiago Calatrava, who also designed the fabulous Art Museum on Milwaukee, Wisconsin’s lakefront.